By Barry Cook. Part 5 of a 6 part series. Read Part 1 titled Personality-Based Winning first, then Part 2 Learning is a Cycle. Part 3 is Learning Driven. Part 4 is Perception or Reality. My background as a network communication engineer helped me to understand the similarity between a communication network system and how we as humans communicate and interpret what we see and hear happen around us. At the heart of the problem is that each person will interpret what they see and hear in a different way depending on their past experience. This is substantiated by witnesses, for example, at a road accident in which each person will invariably give a different version of what took place. In this short article, I will explain a typical communication system and illustrate the potential problem areas that can lead to any misunderstanding. 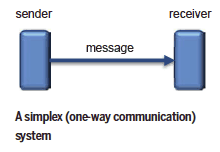 In its most basic form we have a sender (transmitter), a channel of communication, a message and a receiver of the message. 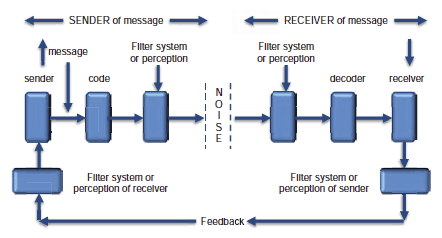 The sender transmits a message to a receiver. If only it was this simple though! The first thing to consider is the purpose of the message. It could be for many reasons and the sender must decide if it is to inform, persuade, influence, change opinions, change behaviour, stimulate, entertain, activate, present a new idea, provoke thought, create interest, raise questions or to motivate. How we transmit that message depends on its purpose. The message we send is what we intend the other person to hear. The channel that the message is sent on can be many things — a written document, the air through which we speak, a fibre cable or a photograph. The message then has to go through a series of stages before it gets to the receiver and that can affect or completely change how the message was received compared to what was originally intended. If it is a spoken message it will contain many factors that influence how that message is received. The words themselves, the loudness, the intonation, the speed at which we deliver it and the body language that accompanies it can all lead to people receiving a different message to that which we intended. If it is a typed message then the perils of people misinterpreting emails are great. It is sometimes very important that we ensure that the tone of the email suits the situation. The message needs to be in a code that the receiver can understand. The many code examples include: language, pictures, tictac, the written word, sign language, Morse code (light and sound), semaphore, jargon, radar, style of dress, flags, body language, cubism, photos, voice inflection, icons, logos, shorthand, text, slang, music, etiquette, expressions, acronyms, numbers, smoke signals, facial expressions or perhaps even a diagram. The important thing is that the sender needs to ensure that the person who receives the message also understands the code which is being used. Jargon can be a particular problem. This could be difficult, for instance, for a new person to a group or organisation who doesn’t understand a particular jargon, especially if it is of a technical nature. Banter can also be an issue and can easily offend if it isn’t understood or if it compromises people’s values. Modern text-speak used by youngsters on mobile devices can be largely misunderstood and more so by their older peers. 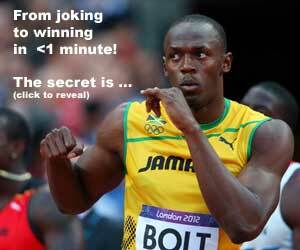 If you want to relay an important message to your coach, do so in plain English! Filters are unique to each person and mean that they will perceive the message they are sending in a way that is meaningful to them, but that doesn’t necessarily mean they are received in the way that was intended by someone else who has a completely different set of filters. We are continually receiving information from our environment through our five senses. This huge potential input of information has been estimated to amount to around 2,000,000 bits of data per second. Only a fraction of this amount is important and so we have many filters in place to limit the amount of data that reaches our conscious mind. If these filters were not in place, we would simply be overwhelmed with information. The brain is a comparator and will draw on past experiences to help us make sense of what we are seeing or hearing at a moment in time. This is a normal function and was initially intended for us to see or hear something that has previously happened and using those filters we can quickly interpret the situation as being dangerous or safe. In times of danger, this manifests itself in the way that we react in a completely random and unpredictable way and results in the fight, flight or freeze reaction. We use many filters — all interacting with one another at different levels. In fact, the data-handling that we can achieve is quite a computational feat and far beyond anything that the fastest computer in the world today can accomplish. Some examples of filters are: experience, prejudices, opinions, stereotyping, personal history, religion, education, personal values, personal agenda, own beliefs, memories, values, attitudes, current state of mind, culture and personality preferences. It could also be the coach’s agenda, such as their favourite issues or sessions or even what the coach wants the athlete to achieve. There are other factors and we are barely on the threshold of discovering the effect to which our DNA may affect our likes and dislikes. Another factor that can affect the message is noise in the system. Noise is the current things that could be happening in your life that can affect how you behave (the things you say and do) and that can lead you to being pre-occupied. Some examples of noise are: current personal issues, work, money problems, a sick relative, headache and music. The message then has to continue through the channel and go through all the same factors for the person who is receiving the message. The message has to go through the filters and coding system of the receiver, which may put a completely different interpretation of the words, tone, body language or the jargon used based on their filters, noise and understanding of their meaning of certain words. It eventually gets to the receiver. However, the sender wants to be sure that the message that has been received is the message that was intended. Unfortunately at this point the sender doesn’t even know if the message has been received. 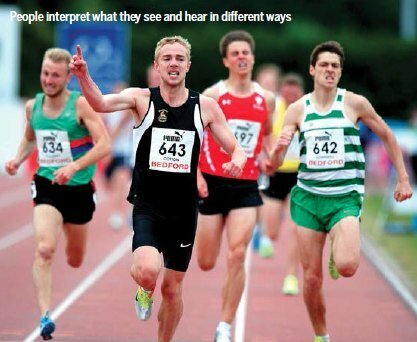 So how can coaches ensure that the intended message is received and understood? This is done through the feedback loop which then has to go back through both the receivers’ and senders’ filter system and noise with all the issues discussed earlier. This may be a question, a facial expression or some clarification that the sender then has to interpret through their filter system that the correct message has been received. If coaches encourage this process with their athletes then they can go some way to ensuring a correct understanding. A comedian gets feedback that his joke has been understood when everyone laughs. As coaches, it is necessary to keep going through this feedback loop until the coach is sure that the message received is the one that was intended. If this doesn’t happen then the enormity for misunderstanding can be easily seen. This is a process that is continually going on every time we communicate with each other. We now have a two-way communication system and the chances of the message being received and understood have increased. The problem for coaches of teams can now begin to be understood where the problem is multiplied by the number of people they are addressing. Because each team member will have their own set of filters, decoder and noise that the message has to go through, the coach will be getting the same number of feedback messages that they have to interpret.